Due to the sheer size of Australia, time zones can vary depending on which territory/island you’re on. 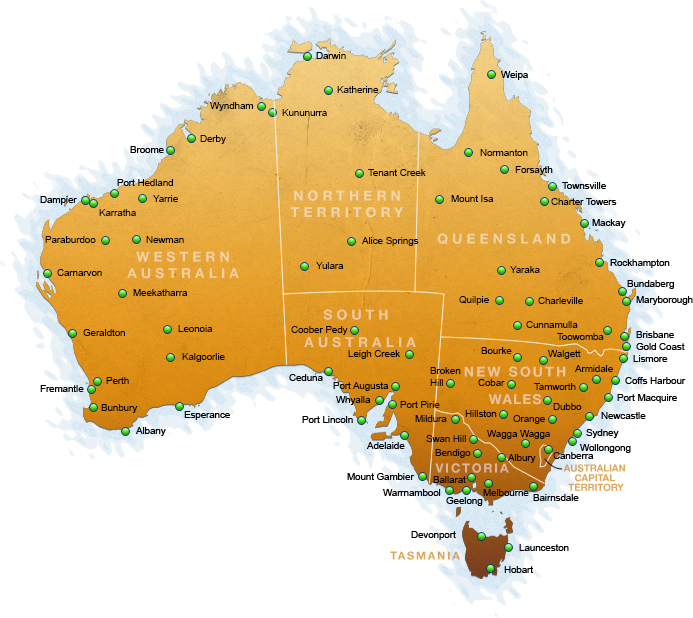 A link below will help you to understand where time zones differ throughout parts of Australia. The climate of Australia varies widely; there is a big difference from the tropical heat of Queensland to the temperate climate of Tasmania. Make sure you check out the weather before you travel. See the link below for more information. 00 (UK exit code) + 61 (Australian country code) + Local Number.